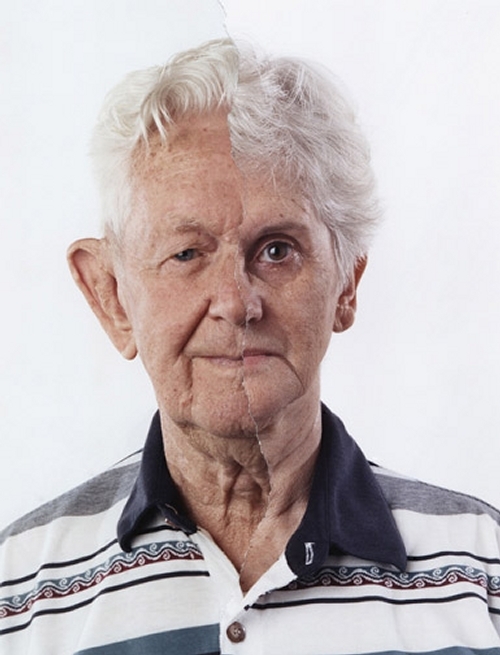 Photographs that highlight change. 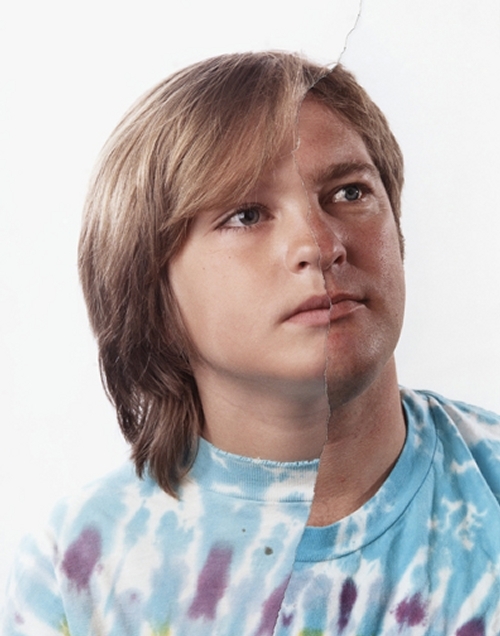 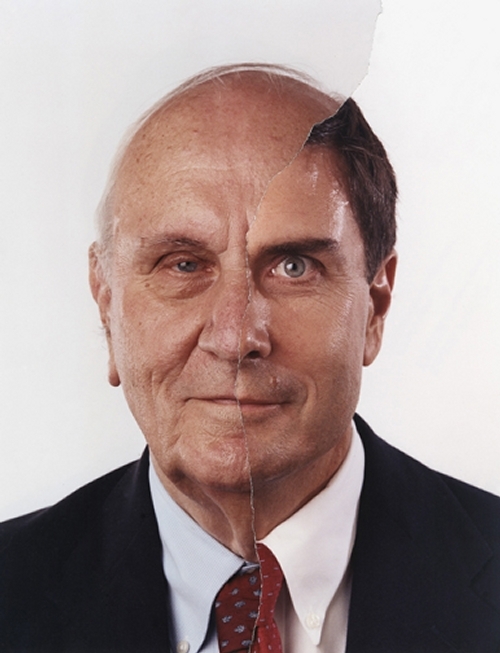 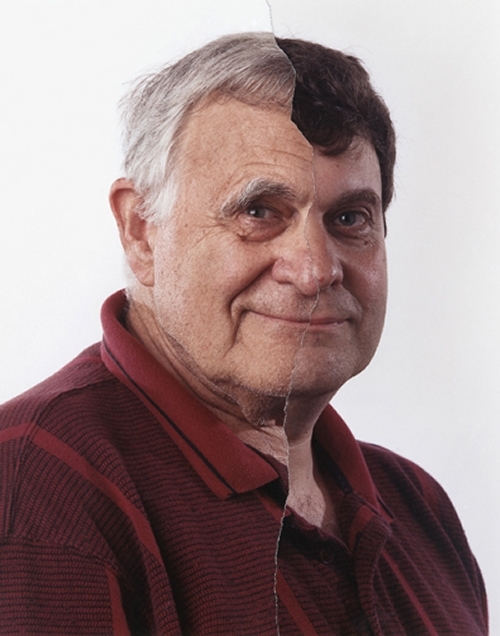 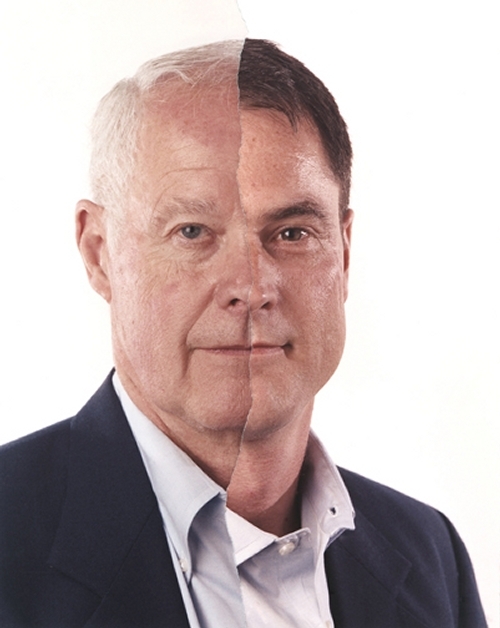 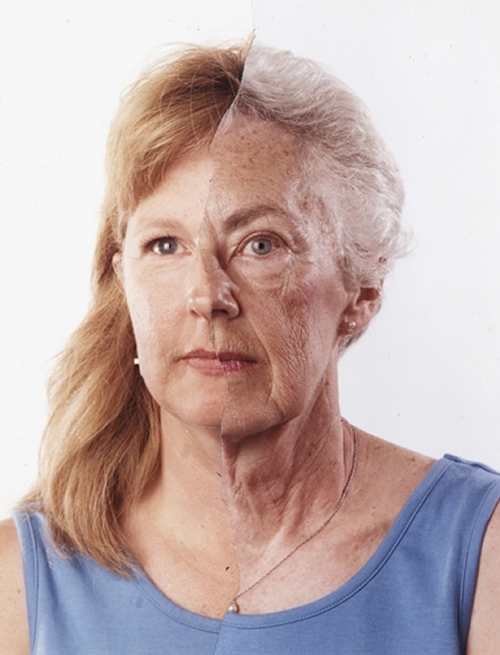 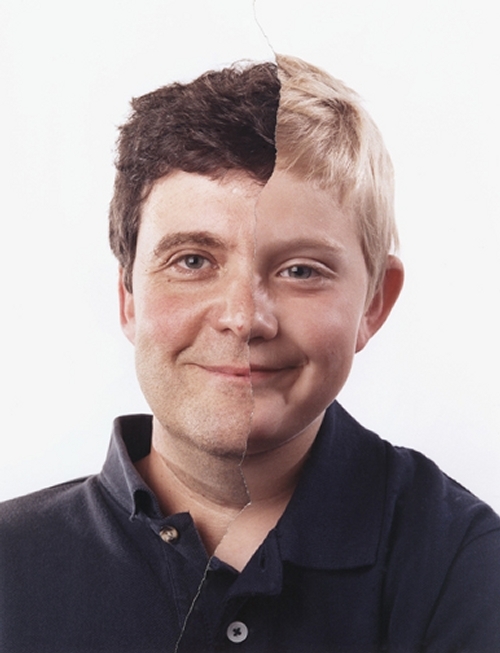 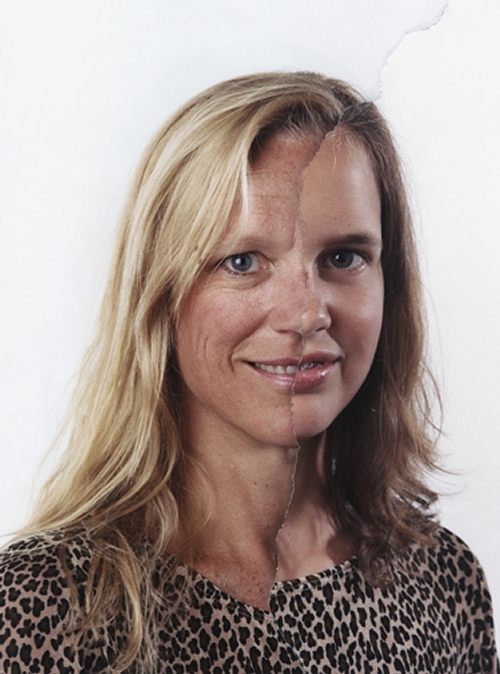 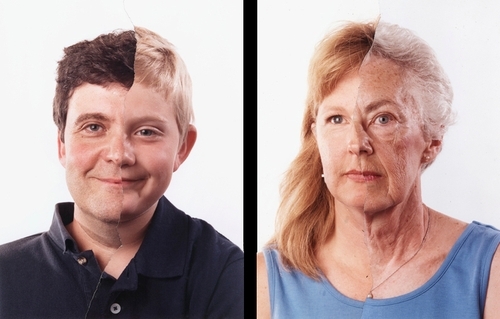 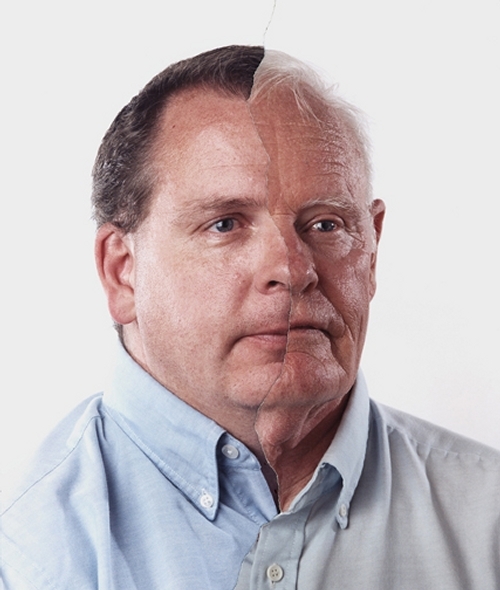 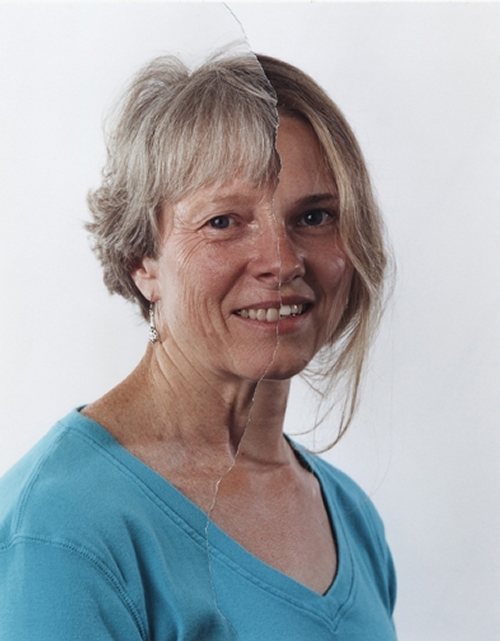 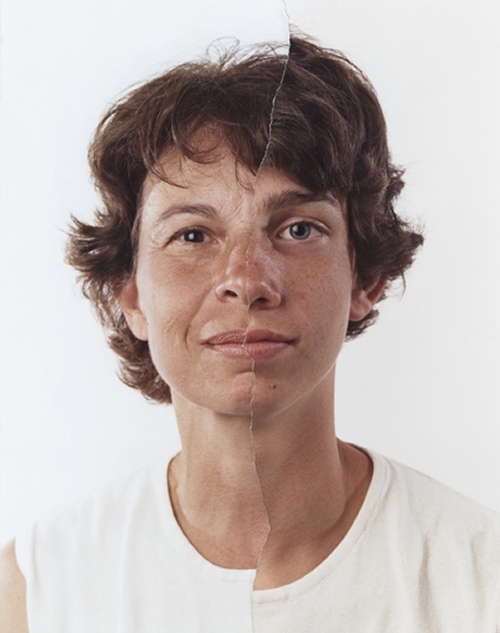 This technique also called Photo-Surgery is adopted by Bobby Neel Adams to show Fathers & Sons and Mothers & Daughters (both represented above), half the face of the Parent and the other half the face of the Child. 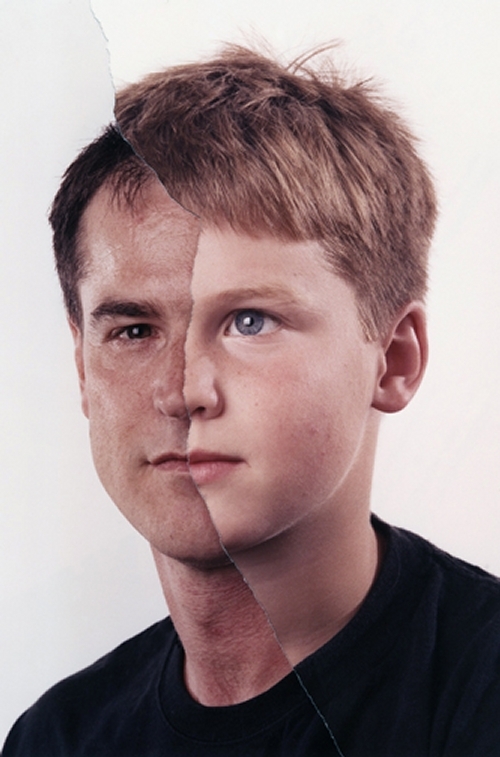 Some of them are an impressive fit.